This is a chilling book with two key storylines. One is continued from the previous book, The Pure in Heart, in which children are disappearing. The second explores the line where grief and anger descends into madness, where we can be threatened in our homes, in the streets which are familiar beneath our feet, and will never feel safe again. Detective Chief Inspector Simon Serrailler, created by crime author Susan Hill, is called to Yorkshire where a child has been abducted. Is it the same modus operandi, is it the same kidnapper? Simon is also squabbling with his sister Cat about how he treats his girlfriends. She thinks he isolates himself too much, he likes women but doesn’t want them to get too close. All the regular day-to-day life of the Serrailler family continues from the previous two books, providing a warm framework of family and community, into which barges the threat of violence. Cat, with a newborn baby, struggles to balance baby caring and the demands of a GP. She feels responsible for her patients, the ordinary people of Lafferton. Meanwhile, we get glimpses into the lives of these ordinary people in their homes. Are they going to be victims or criminals? 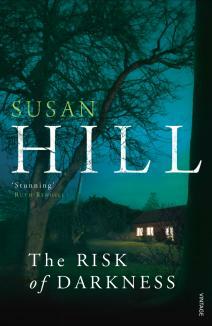 Susan Hill blends invisibly the fear factor of crime fiction and the security blanket of familiar family lives, daily routine, eating breakfast, squabbling with each other, going to work. I turn the page, not knowing what is going to happen next, wanting to know but not wanting it to happen. She is a master of her craft.